I was so lucky, I loved my grandparents. When I was little they lived a long way away . They lived in London and we lived in Hertfordshire, 30 miles! It was a 2 hour bus ride just to get to Golders Green. Then we had another bus to catch. Very few people had cars or could afford the train so bus it was. That meant we didn't see them as often as I'd have liked but I loved them. There are so many questions I wish I had asked them but I didn't even think of asking them when they were alive. I suppose I thought they'd always be around. My mothers mother was born in the west of Ireland, She was the 7th child of a 7th child and spoke only Irish until she was about 7 years old. She left Ireland just after the Irish war of Independence in about 1922. She was 19. That's all I know. My Nanny, me and Bears daddy. My mum's mum. My mother told me that Nan left home because her father wouldn't let her cut her long hair short. Oh how I wish I could have asked her about that. I can hear her laughter and her wonderful Irish accent, she loved to laugh. She would have told me all about it, how she left Ireland and travelled to London. How she met my grandad and fell in love. All about her parents and grandparents. Her brothers and sisters. Now there is no one left that I can ask. If only I could turn the clock back just a little but that of course is impossible. Where and when were you born? Did your parents ever share their memories with you about the day you were born? What were the names of your grandparents and what are your memories of them? When and where were your parents and brothers and sisters born? What schools did you attend? Did you like school? What were they like? 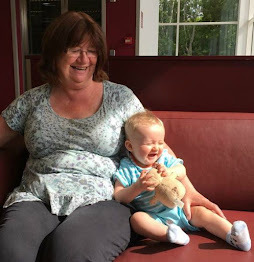 How did you meet Nanny/Grandad? When and where were you married? What was the best bit? How did you choose your childrens names? Where have you lived? Where did you like best? What jobs have you had? Who did you work for and what did you do? Do you know any stories about the history of the family? What has given you the most pleasure/fun in your life so far? What are some of your favourite things? Favourite flowers? Favourite books? Favourite songs? Favourite foods? If like me your grandparents are not from where you now live. Why did you leave the place you grew up? Oh and don't forget to write the answers down! Are there any questions you would add to my list? If you would like to see more in this series click on the "Family Tree" part of the badge below and it will take you directly to my index page. It is amazing how cars were a luxury to be used on high days and holidays when we were young and yet nowadays everybody takes them for granted. 30 miles is an easy distance to travel now, but gosh at 2 hrs on the bus. Golders Green, saw that on the front of busses when I visited my grandparents in London. I like you had a fab relationship with my grandparents, and want mine to have that with me. Have to say so far I have. Yes I feel the older generation do have some interesting stories to tell and fab history they have lived with. Wish I had told mine I loved them more often but emotions ( like cars) were not used back in the day. There are so many interesting stories that we could hear from our grandparents if we are still lucky enough to have them and this list is a great way of finding out more about the lives that they lived. 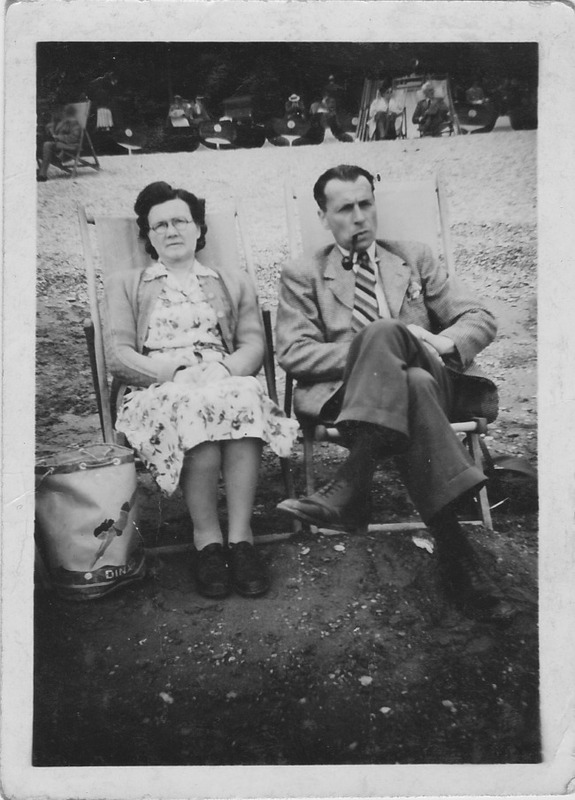 My grandparents had all died by the time I was 10 so I never got the opportunity to ask them although thankfully I did get the opportunity to ask my last living great-aunt more about her family before she died a few years ago and have some copies of the photos she shared with me. Quite tempted to ask my mum some of your questions though and find out a little more about her childhood. Thank you for sharing. These are great questions to ask! My Gran said that she couldn't remember much about her life but when asked questions like these, she didn't stop talking and remembering for hours. 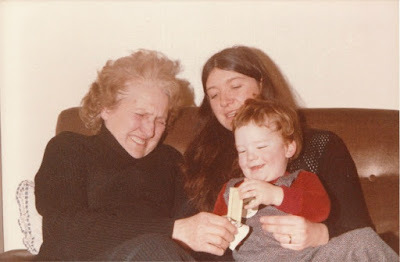 I think recording your own memories of your grandparents/general memories, is a great thing to do too, for your children and grandchildren.